Graffiti's 170 Baldwin Street in the heart of Kensington Market in Toronto. Saturday May the 28th at 9pm. PWYC. will be performing four original songs on Saturday April the 30th at 9pm. PWYC. Please come to this funky little bar with the tasty brew and join us. performing four original songs on Saturday March 26th at 9pm. performing 4 original songs. pwyc, suggested $5 donation. Graffiti's , 170 Baldwin Street, Toronto. we will resume in the new year. So you must come to the November show. A celebration of FRESH WATER !!!! in a cozy little bar in the market. town. Drinks and music galore! Stages Presenting 4 Days of Roots and Blues Music. Thank you and please come out to this wonderful festival. songwriters into a new decade. gifted songwriter and will be dearly missed. UNITE monthly showcase. The show starts at 9pm. sets of 3 artists in the round each hour. be ransacked and hosting artists in private showcases. and buy tickets for the conference. blocks South of St. Clair/just East of Christie). Street in Kensington Market and will begin at 9 p.m.
political context, can drive extraordinary change. 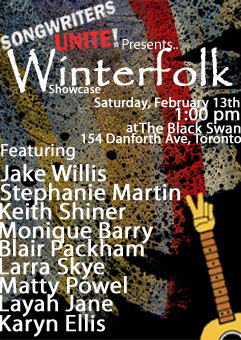 We are very honored and pleased to present a showcase as part of WINTERFOLK VII. at the Black Swan, 154 Danforth Ave, Toronto, top floor. Admission is free to this festival. Yes it's that time again SONGWRITERS UNITE! presents the first Friday of the month showcase. Last minute adjustments to the Songwriters Unite! the month Graffiti's showcase this Friday, Oct.
hit a swingin' venue for some kickin' live music?! the month Graffiti's showcase this Friday, Sept.
9pm...$6. 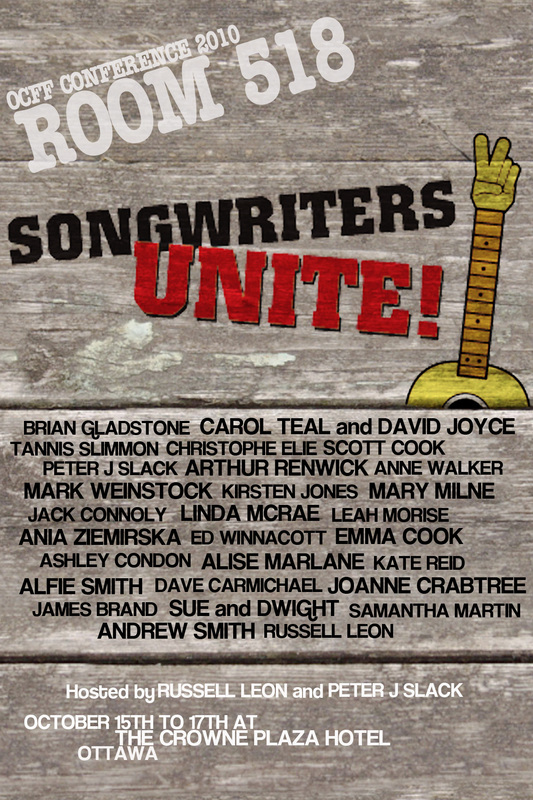 and check out fellow SONGWRITERS UNITE! RUSSELL LEON TRIO featuring ANSGAR SCHROER and MARCUS WALKER. Toronto to support Engineers Without Borders. information and to purchase your tickets. venerable music establishments the Cameron House. 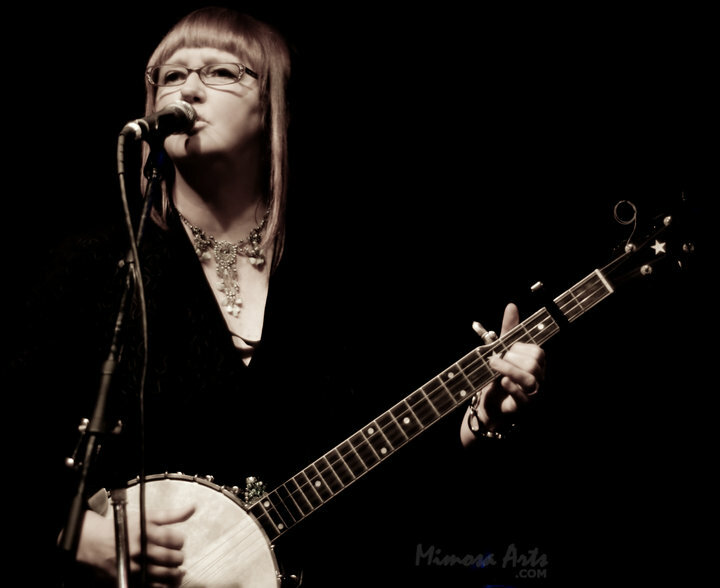 accompanied by multi-instrumentalist John Zytaruk. and Byran Dennis on drums. hop workshops in U.S., Canada and Europe. Ms.
of Aboriginal Youth, and The Dream Catcher Fund. travels to NYC and LA to train and perform. official CD called "The Cat Continuum"
on various local and national television shows. successful tour of Ontario last spring. traditional harp, violin, flute, and whistles. lives deep within his spirit . deep within life . deeply, you can.t help but be moved. children's song for his song "Troubadour"
guitar to form the Russell Leon Band in 2001. Michael Herring on upright bass, Nichol S.
rogue studio, mixing the sound. compositions of some of our top homegrown talent. Carey, Tucker Finn and Peter Verity. the talent of these young songwriters!). Saturday October 13th, 8pm to 12am: $25.00 advance, $27.00 at the door. Sunday October 14th, 11am to 3pm: $10.00 advance, $12.00 at the door. Four songwriters from the Songwriters Unite! seven piece band...a great night of talent! and RUSSELL LEON will host. water, poverty is an absence of opportunity. SLACK, JEN GILLMOR, and RUSSELL LEON. Get your tickets before they are gone!!!! AND RUSSELL LEON will host the evening. that brings and holds everyone's spirits together. to release the 2005 emancipation picnic CD. currently studying privately with Lisa Martinelli. Got A Dream accentuates his profound talent". impressive reputation on the Toronto music scene. Relaxo, Clinton's, Holy Joe's, and Graffiti's. producer, mechanical engineer, and entrepreneur. LOVELY ROSINA  and the host of SONGWRITERS UNITE! the Jai Dee (Good Heart) Children's Fund. Alex Nussbaum will make a spot appearance. outhouses to books and crayons. Devrim Eldelekli and Andrea de Boer are blueVenus. Blues Female Vocalist of the Year. Thanks to The CBC for their support on this show! next year after he moves to Winnipeg.